Panthayam malayalam movie to be directed by debutant Kiran Raveendran will feature veteran actor Nedumudi Venu in lead. The movie is themed on 'The Bet', a play written by Russian writer Anton Chekhov. Ravi Vallathol will also be seen in a prominent role in the movie. Charu Hariharan, daughter of play back singer Arundhathi would stay behind as the music director. The camera is being handled by Kiran and Saju Aroor. Kiran Raveendran who has shown his presence as a documentary film maker is venturing into the big screen with 'Panthayam' which is themed on 'The Bet', a play written by Russian writer Anton Chekhov. 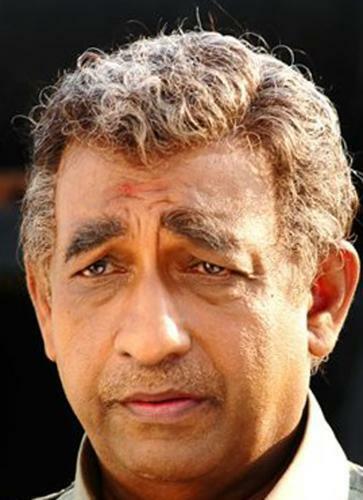 Veteran actor Nedumudi Venu will don the role of Anton Chekhov in the movie. Kiran who began as a writer is popularly known for making documentary films. His recently work was the 56- minute documentary titled 'The Lost Child' (2012) based on the life and contributions of J C Daniel, the father of Malayalam Cinema. Ravi Vallathol will also be seen in a prominent role in the movie. Charu Hariharan, daughter of play back singer Arundhathi would stay behind as the music director. The camera is being handled by Kiran and Saju Aroor. Nedumudi Venu, the gem of malayalam film industry who has given life to various characters is excited to take over the role of Chekhov. Being one of the dazzling actors in malayalam, the character in 'Panthayam' would be the best ever in his acting career. Kiran had been involved in Documentary film making for many years while his popular works include 'Theeyattu (Fire Dance-2011), Niyogam( short fiction), Documentary on Mahila Mandiram, Save our Generation etc. A 100 episode programme featuring the history of malayalam cinema is undergoing production. 'Theeyaatu' which was based on the thousand- odd year old temple art form of Kerala won the Bharath Balan K Nair award for Best Documentary in 2012. Kiran has also shown his mettle as writer working for The New Indian Express, The Hindu and Chitrabhumi. His articles on composers, lyricists and singers in Malayalam cinema received much appreciation for readers around the globe. His article titled Sesham Vellithirayil,' (on lost and forgotten heroines of Malayalam Cinema) was published in Deshabhimani. His book'Hollywood Oru Mareechika based on Thomas Burley Kurissinkal(hero of 1950 movie Thiramala) was published in 2012.